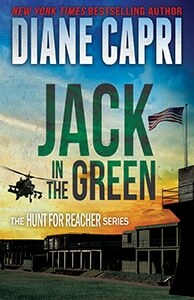 Judge Willa Carson returns in this chilling story from New York Times and USA Today Bestselling Author Diane Capri! Everyone needs a vacation, even hardworking, crime-fighting Federal Judges. Looking forward to a quiet week of stunning winter scenery, roaring fires, and warm companionship, Judge Willa Carson and her husband George head north to Pleasant Harbor, Michigan – and slam into murder. A car stranded in the road. A corpse slumped in the front seat. A gunshot wound to left temple. The scene is surreal, the execution ruthless, the victim far from innocent. Local authorities want this case put away fast because it’s bad for their tourism business. Willa sees what the cops don’t, and she is not about to play along to get along. 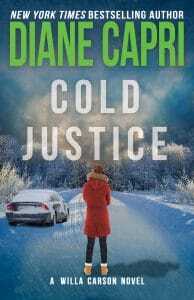 The rugged, frozen landscape is not her beloved Tampa sunshine and palm trees, but Judge Willa Carson is always on the Hunt for Justice.